This is because global central banks have overwhelmingly turned hawkish in a vain attempt to gradually let the air out of the massive bubbles they have spent the last decade recreating. Unfortunately, that is not the nature of asset bubbles—they don’t end with a whimper—and they are about to burst in violent fashion. First off, our central bank hiked rates for the eighth time since December 2015 at the September FOMC meeting. While the Fed did remove the word accommodative from its policy statement, it also raised the neutral rate to 3 percent, from 2.9 percent on the Fed Funds Rate. And, most importantly, predicted it would stay above that neutral rate for two years—keeping it at the 3.4 percent level. It also indicated that December would be the next rate hike and that three more hikes are on the agenda for 2019. Nevertheless, the Fed is now caught in a hydraulic press of its own making; and is completely unaware of the predicament it is in. An inflation rate of 2 percent has been its goal for the past decade. And now inflation, when measured by core CPI, is up 2.2 percent y/y and is up 2.7 percent y/y on the headline rate. Even though the Fed emphasizes the Personal Consumption Expenditure inflation rate rather than Consumer Price Inflation, it is still aware that inflation is rising above its target. Therefore, its own inflation models—however irrelevant and useless they may be—are compelling the Fed to keep on raising rates. But because inflation is a lagging indicator, the Fed will keep on hiking rates until the next economic downturn is well underway. However, since asset bubbles and debt levels have never been more disconnected from reality, the next economic downturn should quickly morph into a depression rather than just a normal recession. The sad truth is that the global economy has become so unstable due to a humongous level of debt (up over 40 percent since 2008) that there is no R* or neutral rate for the Fed to reach. One of the fatuous goals of central banks is to place interest rates at a level that is neither stimulative to inflation or a depressant to job growth—the real interest rate where the economy is at an equilibrium. The only problem with this exercise is that the Fed has no idea what level this R* rate should be. Only a free-floating and market-based interest rate can accomplish this task. For a central bank to usurp this process is both futile and dangerous. 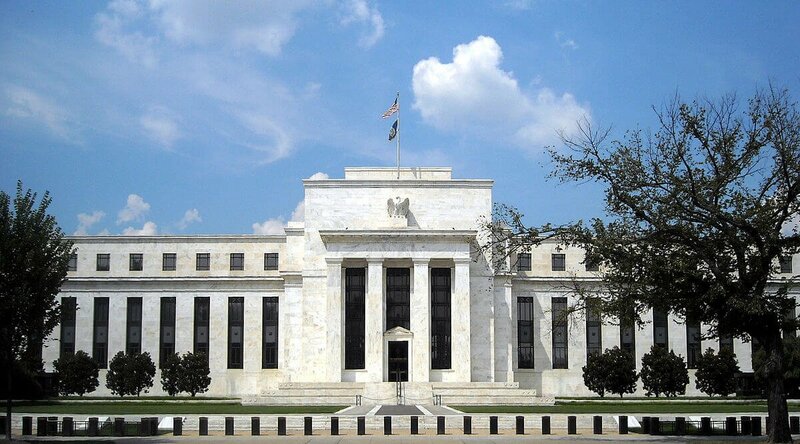 But the Fed has already hiked to the point in which the global economy has started to falter. 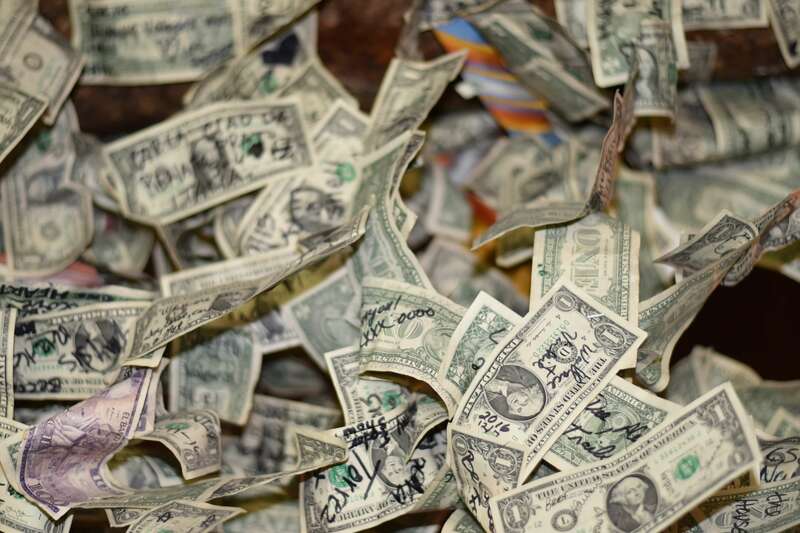 The discrepancy between U.S. interest rates and those of foreign markets has put upward pressure on the dollar and is putting debt service payments on the $11 trillion of dollar-based foreign loans under extreme pressure. The current chaos in Emerging Markets would have started years ago if it were not for the Bank of Japan and the European Central bank’s massive ventures into money printing. The Fed’s ending of QE back in October of 2014 was merely offset by those other central banks’ purchases. Thus, delaying the deflationary impact of reverse QE. However, the pace of global QE is crashing from a peak of $180 billion per month during 2017, to $0 by the end of this year. Also, 14 of the most important global central banks are in a rate hiking mode, while only 5 currently hold a dovish monetary policy stance. This means the gargantuan pile of $250 trillion worth of global debt, which is up $70 trillion since 2007, along with the surging level of annual deficits, to a great degree must now stand on its own. In other words, the private sector must step in to supplant government purchases or interest rates will simply skyrocket. The amount of Publicly Traded Debt in the U.S. at the start of the Great Recession in December 2007 was $5.1 trillion, and the Fed’s balance sheet totaled around $800 billion. That amount of Treasury issuance has now surged to $15.8 trillion today (not counting intra-governmental debt). And yet, the Fed’s balance sheet now totals $4.2 trillion. Therefore, that $4.2 trillion worth of Fed assets—an increase of $3.4 trillion—is trying to support nearly $16 trillion of publicly traded debt—an increase of $10.7 trillion! Not only this, but the fed is no longer buying any of our deficits, which have surged 33 percent y/y. And in fiscal 2019 (starting this October) will total well over $1 trillion per year. Indeed, rather than buying all of the annual deficits, as it did during the QE periods, the Fed is adding to the deficit by selling $600 billion of debt per year as part of its reverse QE process. When you add $50 billion per month of QT to the four rates hikes per annum you end up with an extremely hawkish Federal Reserve. Meanwhile, central banks will keep on hiking rates until asset prices and economic growth come crashing down around the globe. The truth is the global economy has become one giant central bank shell game; consisting of perpetually rising asset prices that have been supported by consistently falling interest rates. Interest rates that hover around zero percent have become mandatory to support surging debt loads. Now that QE is ending and interest rates are rising, the whole artificial construct has started to implode. It is now very likely that the NYSE will suffer through one or more of what is known as circuit breaker days. The NYSE rule 80B stipulates that there will be a 15-minute pause if the market falls by 7 percent. It will then reopen until the market drops by a total of 13 percent; in that case, it will shut down for another 15 minutes. And then, if the market drops by a total of 20 percent intraday, it will close for the remainder of that day. With trillions of investment dollars being moved from the active management style of investing to the passive and indexed ETF variety over the past few years, there is virtually nothing to offset the avalanche of sell orders and plunging stock prices once the panic begins. Time is running out to garner an active strategy that hedges your investments and seeks to protect your wealth from the coming deflationary wipeout.